1. The $69 No Deposit Bonus is available only to new clients. To participate the No Deposit Bonus program, the client must not be an existing or past client of IK Trust. 3. The $69 No Deposit Bonus can only be applied to one account per client and per IP address. Multiple registrations from the same IP are not permitted or multiple No Deposit Bonus accounts register with same personal details. 4. The client must submit their supporting document at support@iktrust.com to be verified by the company, within two (2) days after registration of the No Deposit Bonus account. 5. The client can make trades immediately after the bonus is credited into the account using the 1:200 trading leverage. All No Deposit Bonus trading account are no swap accounts. 6. The challenge is to complete a minimum of 100 lots during one calendar month from the time of receiving the bonus. 7. After one (1) month and the 100 lot are completed, if the account have any profits available in it, the customer may be eligible to withdraw the profits from the bonus account. 8. Expert advisors, scalping, arbitrage and news trading are not allowed in any account that is participating in this No Deposit Bonus account. 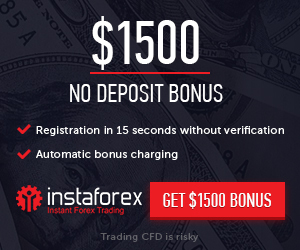 Any such use will result in the $69 No Deposit Bonus being removed from the client $69 No Deposit Bonus trading account. 9. IK Trust reserves the right, at its sole discretion, to alter, amend or terminate the $69 No Deposit Bonus, at any time and without prior notice.